Each birthday is an opportunity to enjoy a celebration with family & friends – make it EASY for you and FUN for everyone by booking a ZOOper Birthday Party at the Central Florida Zoo! Parties for children ages 1 & up. For information and reservations*, please call 407.323.4450 ext. 114, email bdayparties@centralfloridazoo.org, or submit your birthday party request online. *Please note, blackout dates may apply. Requests must be made at least two (2) weeks advance of party date being requested. One hour hosted celebration in our indoor party room. Party host/hostess(es) to assist in serving food and drinks, facilitate games, lead birthday song, etc. 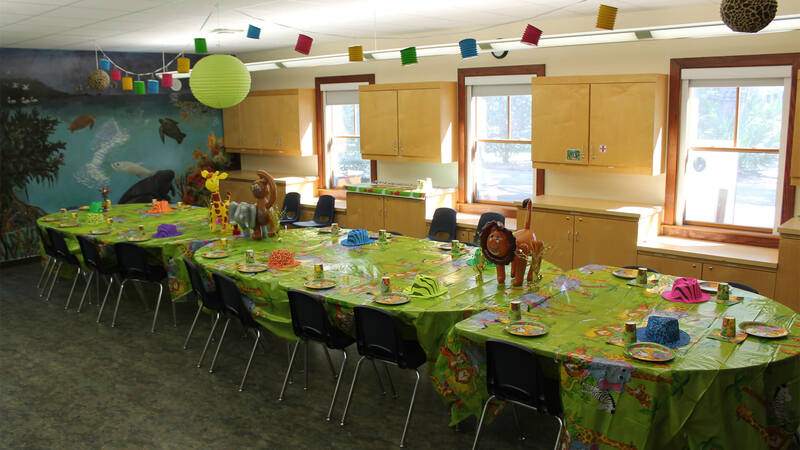 Animal-themed decorations personalized with birthday child’s favorite color(s). Basic cake candles (bring your own numbered candle if desired). Special goodie bag for birthday child. Personalized invitation emailed upon reservation (you print and/or forward electronically to your guests). One reserved parking space for party parent(s). NOTE: Guests provide their own cake/cupcakes. All content and prices subject to change without notice. Zoo Hours: 9 a.m. – 5 p.m.
Party package guest amount includes all adults and children ages 1 and older. Deposit: A $50 non-refundable deposit is required to hold reservations. Deposit will be credited towards your final balance. 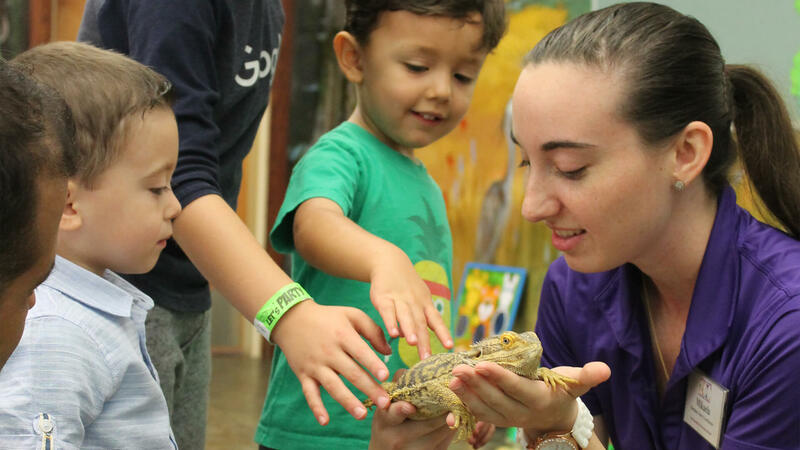 Enjoy an exclusive, interactive visit with your choice of a bearded dragon, bunny, guinea pig, snake, tortoise or turtle in your party room. Encounters are an additional $45 (one animal per party only) and will be part of the celebration time allotted. Treat your guests to a festive transformation – blends seamlessly with the hosted activities during your party. To book, please contact Tifinie Boutot of Eye Candy Face & Body Art, 407.405.0384. Select from a variety of items from our onsite concessions & catering team, including bbq sandwiches, sides, chicken tenders, hot dogs, fruit and vegetable platters. Additional costs apply – please request a menu upon booking. No substitutions for pizza are included with your package. Please complete and submit the online request form for your preferred birthday party date. We will contact you via phone within 3-5 business days to discuss the details of your event and confirm your booking. A $50.00 non-refundable deposit is required in advance to secure the date and time of your party. Deposits must be made at time of booking and can be paid by phone via credit/debit card. We accept Visa, MasterCard, American Express, and Discover. Deposits will be credited towards your final balance. A confirmation and personalized invitation, for you to print or forward electronically to your guests, will be e-mailed to you the day the deposit is received. The final headcount (adults and children) and final balance payment, are due in full on the Tuesday prior to the party. We cannot issue refunds for no-show guests on the day of your party. You will be charged $20.00 per person if additional/unexpected guests (in excess of the amount allotted for your paid package) attend the one hour hosted celebration. No additional food service can be provided the day of the party. Please note, Zoo annual pass holders not included in your party headcount can enter the Zoo on their own, but will not be permitted to accompany party participants to the party room or animal encounter, if booked. We will call you on the Tuesday prior to your party to collect your guest counts (adults, children 3 years and up, toddlers 1 – 2 years) and a final balance payment based on the guest count provided. We will ask for a count of babies in attendance so we may provide appropriate accommodations. Babies do not count toward party guest count, high chairs are available upon request. On the day of your party, we will reserve one parking spot in the front parking lot (near the Admissions window) for the party parent(s). Parking spot will be marked with birthday child(ren)’s name(s). You may remain parked there for the duration of your Zoo visit. There will be signs leading you and your guests from the front ticket booth, down the winding pathway to the Wayne M. Densch Discovery Center, where the party room is located. Our staff is available to assist you with bringing the cake, gifts, and other items into the party room. We ask that party parent(s) greet arriving guests in the indoor lobby just outside the party room. Guests arriving to enjoy the Zoo before the start of the party may check in at the Annual Pass Check-In Hut in front of the Wayne M. Densch Discovery Center. PLEASE NOTE: Aside from dropping off the cake and presents, you and your guests will not be able to access to the party room until the allotted one-hour rental period. Our indoor party room will be festively decorated floor-to-ceiling. Your party hosts or hostesses will facilitate all festivities during your one hour celebration. We will assist in serving food & drink, lead games, lead the birthday song, cut and serve cake, and go out of our way to make the birthday child(ren) feel extra special on their special day! For parties with toddlers/babies in attendance, we provide age-appropriate diversions (crawling tunnels, tub of toys, etc.). The opening of presents is not a part of your allotted time in the party room. At the close of your one hour celebration, we will distribute Zoo admission wristbands (also used for train and carousel ride) to the entire group. Due to space constraints, gifts will need to be taken to your vehicle immediately following the party. If weather dictates, we can hold leftover cake in our air-conditioned front ticket booth until you leave the Zoo. 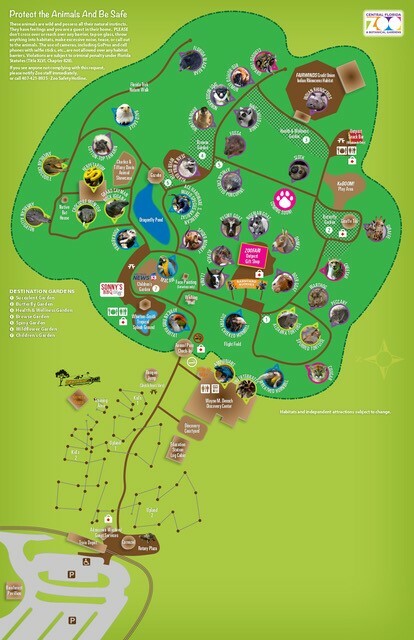 Wristband admission is good for the entire day – enjoy over 400 animals with your guests! Weather permitting, the train and carousel open at 10:00 a.m. and run throughout the entire day. On weekends, the last train ride leaves the station at 4:45 p.m. (station is next to the front ticket booth). If my guests have a Zoo Annual Pass, do they still need to be included in my guest count? Yes, Zoo passes do not apply toward private events such as birthday parties. If you are a current Zoo pass holder, you will receive a discount on the party package as a benefit of your pass. Is the birthday child free? Yes, the birthday child is free. All other guests attending the party (ages 1 & up) must be included in your headcount, including the birthday parents. There is a $20 surcharge for each additional birthday child(ren). Do I have to pay for parents? Yes, all party guests above the age of 1 are included in the count for your paid package. Due to room capacity, the maximum number of guests (1 year of age and older) in the party room is 35. You may choose to do a drop-off party. If applicable, please inquire about the availability and cost of a larger party room. All deposits are non-refundable if you choose to cancel your party. However, you may transfer your party to another available date within 6 months. Deposit will be credited towards your final balance. Final payment for party packages, animal encounters and a la carte orders are due the Monday prior to your party, along with your final child headcount (3 years and up, 1 -2 years, babies) and adult headcount. Your deposit is credited towards this payment. If you cancel your party 2 hours prior to your start time your payment, less the $50 deposit, will be refunded. Two options are available: you may cancel due to weather on the day of the party no later than 2 hours prior to your party start time by leaving a message at 407.323.4450 ext. 114, OR you may proceed with the 1 hour indoor celebration and your group can save admission/ride wristbands for use at a later date. No, we do not allow any outside food to be brought into the party room or the Zoo. Arrangements for dietary needs/food allergies must be made at the time of reservation. May we arrive early for our party? Yes, you and your guests may visit the Zoo before and/or after your party. Zoo hours are 9:00 a.m. until 5:00 p.m. We will ask you to provide a RSVP list via email (ex: Smith, family of 4, etc.) so that we may check-in guests at the Annual Pass Check-In hut as they arrive and distribute admission/ride wristbands for those that arrive prior to the party start time. Can we bring decorations and/or gift bags? Yes! Though birthday packages offer floor-to-ceiling decorations, paper products and serving ware, you are welcome to bring your own. Goodie bags are not provided by the Zoo, though you may bring them for your party guests. However, if you wish to bring decorations, please notify us at the time of reservation. Please note—we cannot prorate packages if you supply your own decorations, paper products, etc. Can the party exceed the allotted one hour time slot? We are unable to extend party times due to room availability. If applicable, please inquire about the availability and pricing of extended rentals. Does our host(ess)(s) accompany our group inside the Zoo? We do not offer any guided tour or Zoo orientation as part of our party packages. 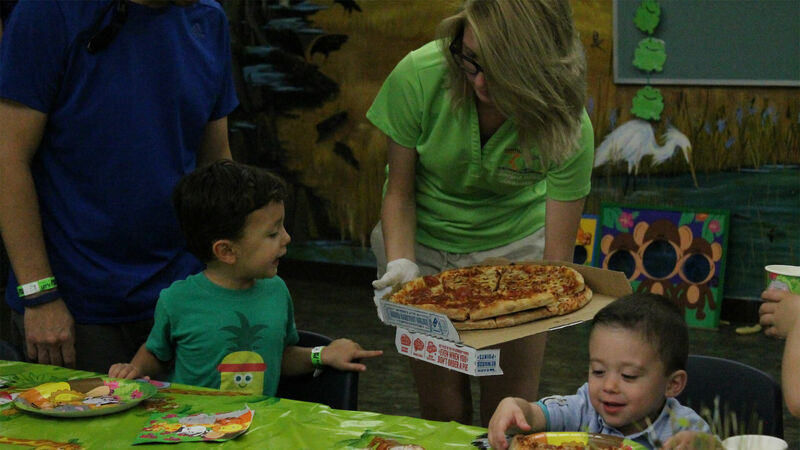 For more information, or to schedule a Birthday Party, e-mail bdayparties@centralfloridazoo.org or call 407.323.4450 ext. 114.